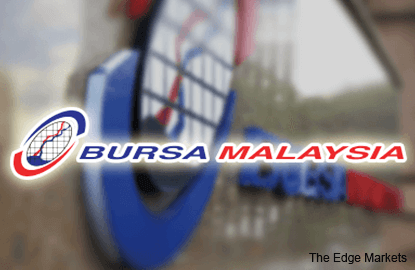 KUALA LUMPUR (Feb 3): Bursa Malaysia Bhd is expecting a promising year ahead for initial public offerings (IPOs), said its Chief Executive Officer, Datuk Seri Tajuddin Atan. “The numbers [for IPOs this year] are stacking up,” he said, when speaking to reporters after announcing the company’s fourth quarter financial results for the period ended Dec 31, 2016 (4QFY16). Tajuddin stated that he is hopeful for the IPO market, adding that the market awaits four new listings as of February this year, compared with the first three months of 2016 which saw no new IPOs. In January, Matang Bhd and HLT Global Bhd were listed on Bursa. In 2016, Bursa Malaysia saw 11 new listings on the market. When asked about improvement in trading revenue for the Malaysian securities market, he said that the stock market operator is “cautiously optimistic” that trading volumes will improve in 2017. Trading revenue for FY16 saw an 8.6% drop to RM212.9 million compared with RM233 million in FY15. The group’s net profit for 4QFY16 dipped by 0.86% to RM50.17 million from the RM50.6 million it recorded a year ago. Bursa said in a filing that its earnings were dragged by lower profit from its securities market division, with the segment's net profit down 8.9% to RM65 million from RM71.4 million in 4QFY15. For the full year ended Dec 31, 2016 (FY16), Bursa saw its net profit slip by 2.5% to RM193.62 million from RM198.61 million in FY15, which was in tandem with a 2.3% decrease in revenue to RM506.78 million from RM518.5 million. Moving forward, Tajuddin expects the equity market to remain challenging this year on persisting market volatility.